A new UPS truck now rolling around the streets of London looks like an ordinary delivery vehicle. But at night, the truck plugs into a new smart grid at the company’s hub in the center of the city, where it pulls in enough charge to drive up to 150 miles the next day. The smart grid and the battery infrastructure inside the truck are made by the U.K.-based startup Arrival. They will soon fully debut in a pilot fleet of custom trucks equipped with other features, including a wraparound front window that makes it easier for a driver to see other vehicles and pedestrians. This pilot is just one piece of UPS’ larger experimentation with electric vehicles. In July, UPS announced that it was working with Thor Trucks, an L.A. startup, to develop and test another fully electric delivery truck. In February, the company announced a partnership with Workhouse, based in Ohio and Indiana, to design and deploy new electric trucks that will be no more expensive than conventional trucks. Last December, UPS preordered 125 electric semis from Tesla, the largest publicly-announced reservation of the vehicles. In a handful of cities like Portland, the company is using electric tricycles to make deliveries on some routes. 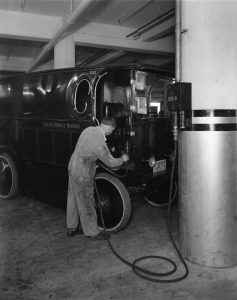 The company first used electric trucks in its fleet in the 1930s, though like others who used early EVs, it eventually abandoned them because of economics. By 2001, it had reintroduced modern electric vehicles, and a few hundred are now on the road. That’s a small percentage of the company’s total fleet of 119,000 vehicles. But technology is now at a point where much larger scale-up may be possible. Workhouse’s lightweight vehicle, designed from scratch, is the first to be comparable in upfront cost to a regular delivery truck. The cost of electric batteries dropped 80% between 2010 and 2017, and could drop another 50% or more by 2020 or 2025, driven in part by investment in new production capacity in China. New materials that can make vehicles lighter in weight also helps reduce the battery size needed. As electric vehicles are used, they’re also cheaper to operate. Maintenance costs are lower since electric vehicles have fewer moving parts. They also run more efficiently, and are cheaper to charge than buying fuel. 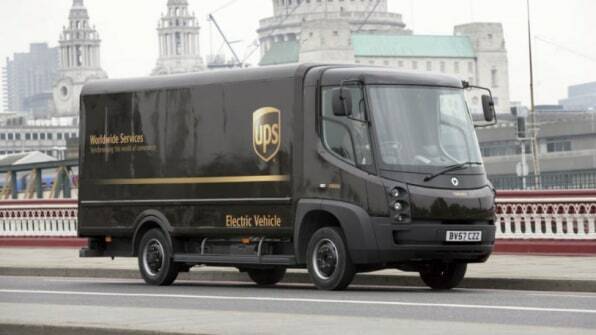 In London, UPS is testing a smart grid designed to make it possible to charge an entire fleet of electric vehicles simultaneously. Without a smart grid, the company would have needed to pay for an expensive upgrade to its network connection to handle the power demand. But the new grid–the first of its kind in the world–uses a central server connected to charging posts to send electricity to trucks intelligently through the night so that it never exceeds the amount that’s available. Batteries store energy onsite. The grid is still in early testing, but is likely to be used in other locations. In the future, some hubs could store energy from on-site solar panels, and could use old batteries from electric UPS trucks for storage. 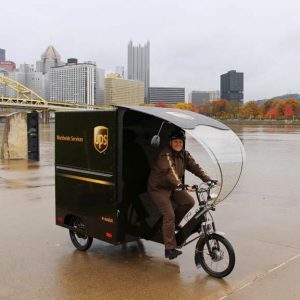 In its pilots with manufacturers, UPS typically spends around six months testing vehicles in real-world conditions, gathering data directly from the truck or van and getting feedback from drivers. Simultaneously, the manufacturer tests the durability of the vehicle. 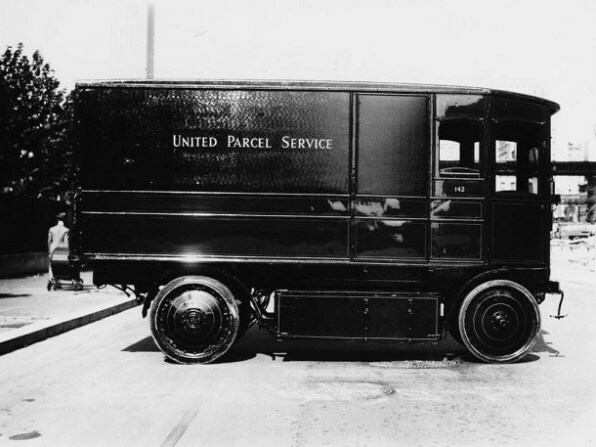 Because technology is quickly changing, UPS begins working with manufacturers at an early stage. Other delivery companies are also shifting to electric vehicles. DHL, which bought an electric van company called StreetScooter in 2014, has thousands of electric delivery vans and is producing 2,500 more this year. FedEx added 292 electric vehicles to its fleet in 2017, with a total of more than 2,100 in service by the end of the year. It also preordered 20 Tesla semis. After several years of demonstration tests with EVs like UPS, the company is now working on the challenge of preparing to scale up infrastructure that can support large electric fleets. FedEx aims to increase the fuel efficiency of its vehicles 50% by 2025 compared to a 2005 baseline. 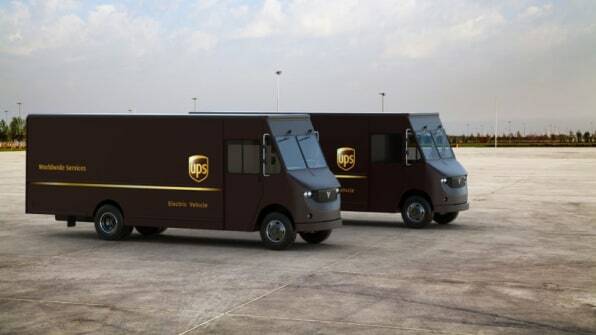 UPS doesn’t have a specific goal to buy a certain number of electric vehicles, but by 2020, plans for one in four vehicles purchased to be an alternative fuel or advanced technology vehicle. Some of those vehicles might run on hydrogen fuel cells, for example; the company’s fleet already includes a large percentage of other alternative vehicles, including thousands running on natural gas. “We’re really looking for the right solution that’s good for business and good for the environment, good for advancements in technology, and good to help drive the industry,” Phillipi says. But as prices continue to drop, it’s conceivable that it could move more quickly to EVs. The benefits go beyond helping the company reduce emissions and saving on operating costs. They’re cleaner on streets, so pedestrians next to an idling delivery van aren’t breathing diesel. They’re quieter. The electronic systems can include better safety features, helping drivers stay in their lane or see obstacles in a blind spot. The vehicles can gather more data, helping the company make routes more efficient. For drivers, they’re smoother to operate. “[Electric vehicles] bring things to the table that others haven’t in the past,” says Phillippi.